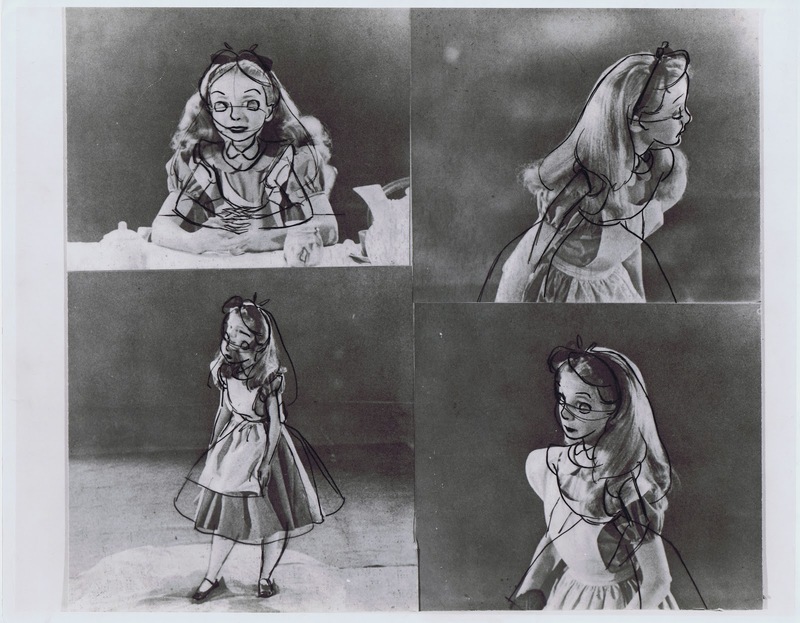 Her full name is Kathryn Beaumont Levine, and her friends call her Kathy. 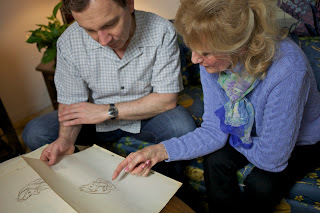 I am very proud to be one of them. 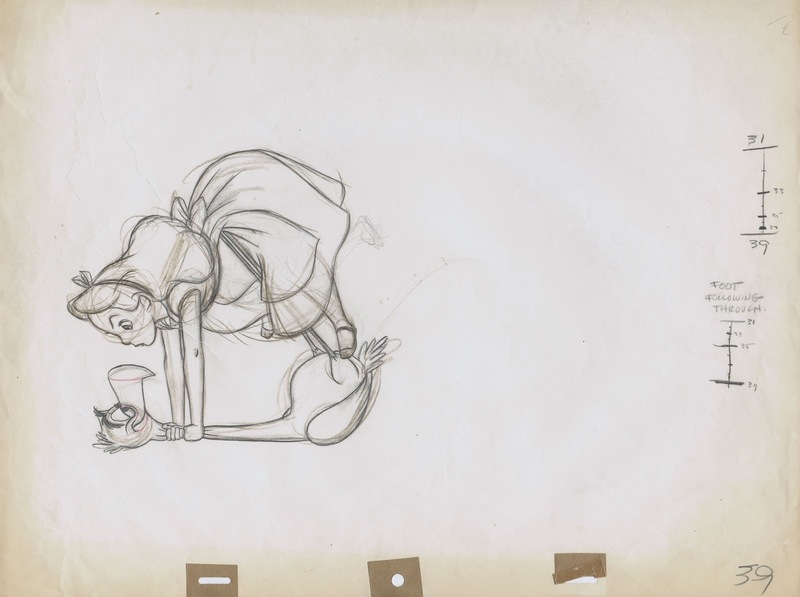 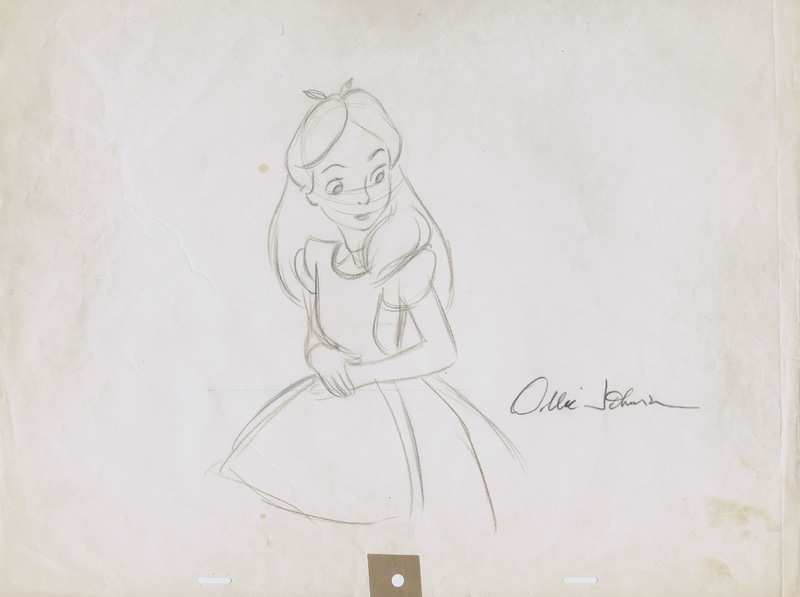 We recently got together to take a look at some animation roughs of the character of Alice from "Alice in Wonderland". Many of you know that Kathryn gave her voice as well as live action reference to two iconic Disney characters, Alice and Wendy from "Peter Pan". 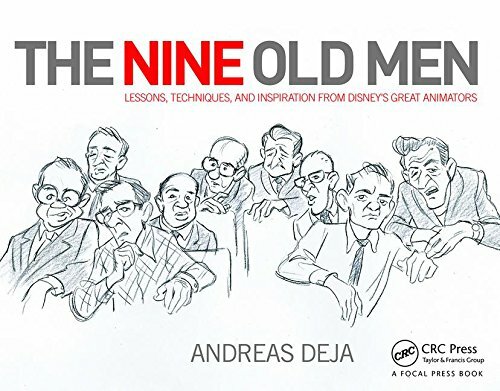 We had a lot of fun studying the drawings, they instantly brought back memories of certain sequences, and how involved the live action filming was way back on a soundstage of the Burbank Disney Studio lot. 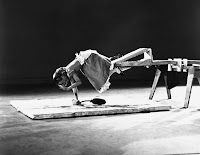 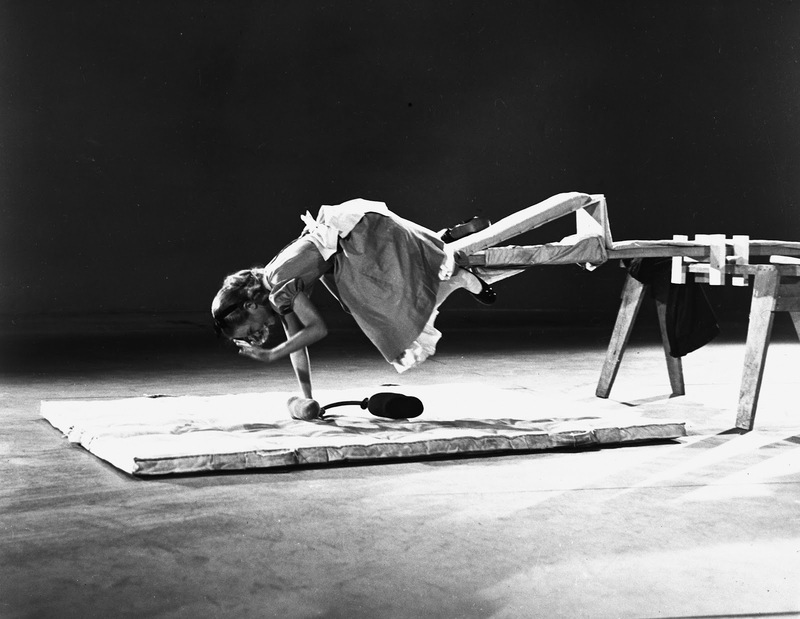 Because the situations Alice finds herself in are often surreal, the performance in front of the camera required almost acrobatic skills. Young Kathryn had to fall -attached to a harness- into Wonderland, she moved around sitting inside a miniature house and played croquet with an imagined flamingo. 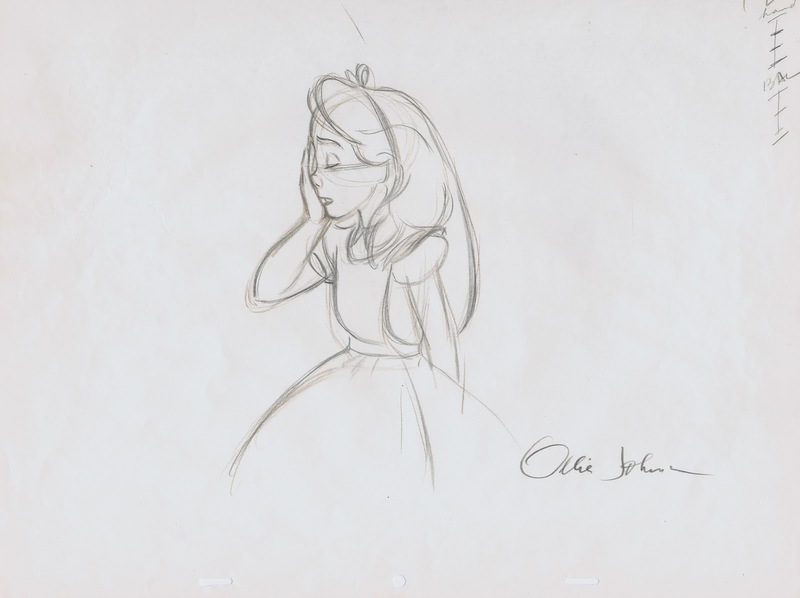 I asked her if there was ever a moment when she was scared or felt unsafe. 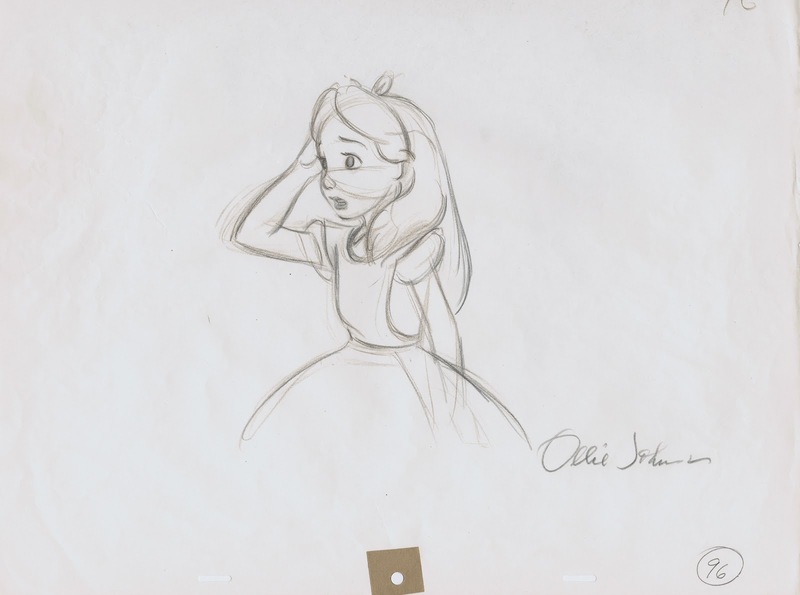 "Never" was the short answer. 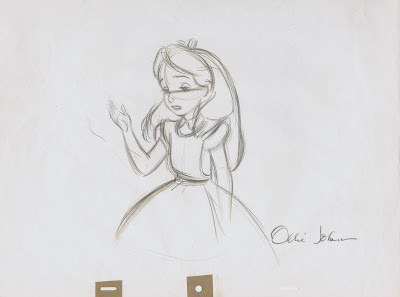 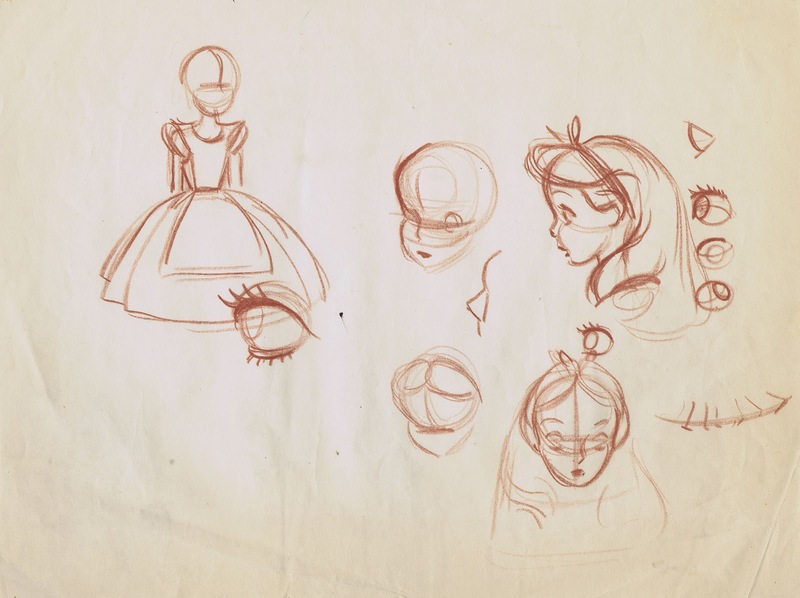 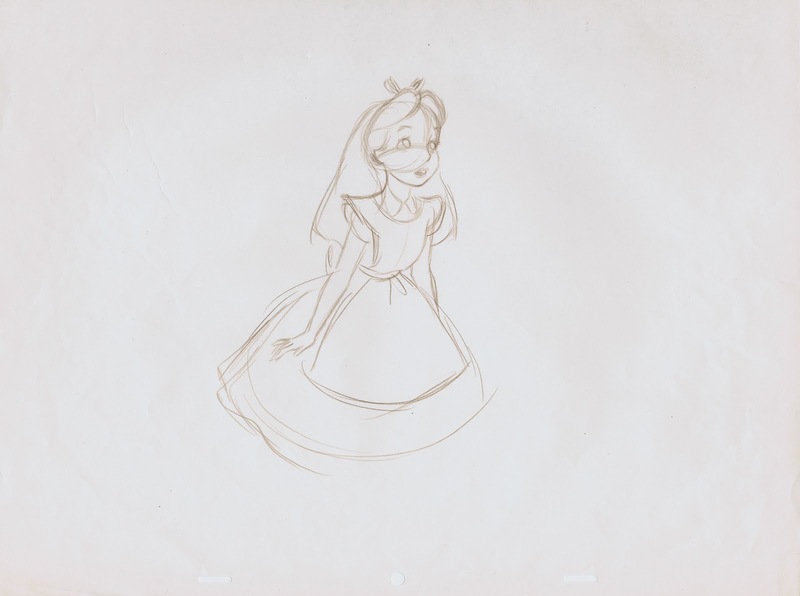 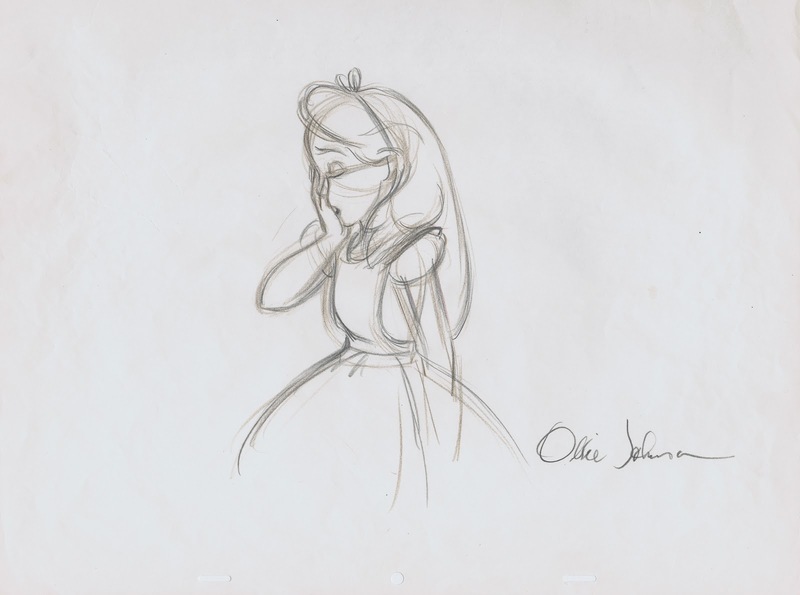 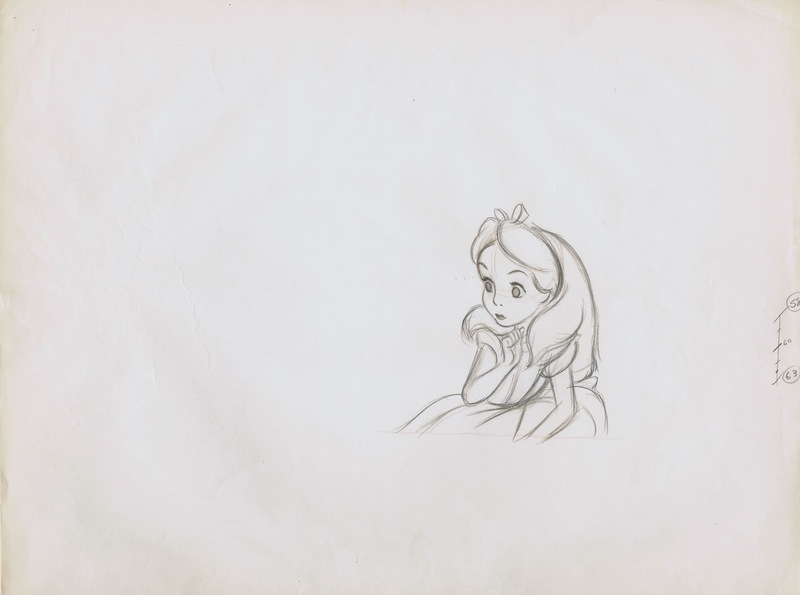 She remembered that Milt Kahl showed her how rough animation was coming along, based on her performances. 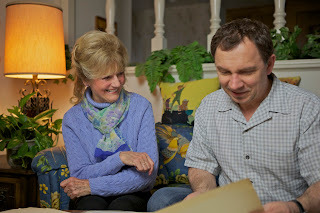 It was also Milt who invited Kathryn and her mother to spend their first American Thanksgiving with his family. 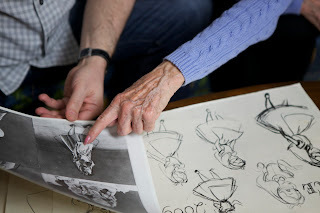 "That was a lot of fun" she recalls, "at the studio I worked with adults only, so it was nice to spend time with Milt's children Sybil and Peter, who were roughly my age." Another interesting recollection came up about her costume for the filming. 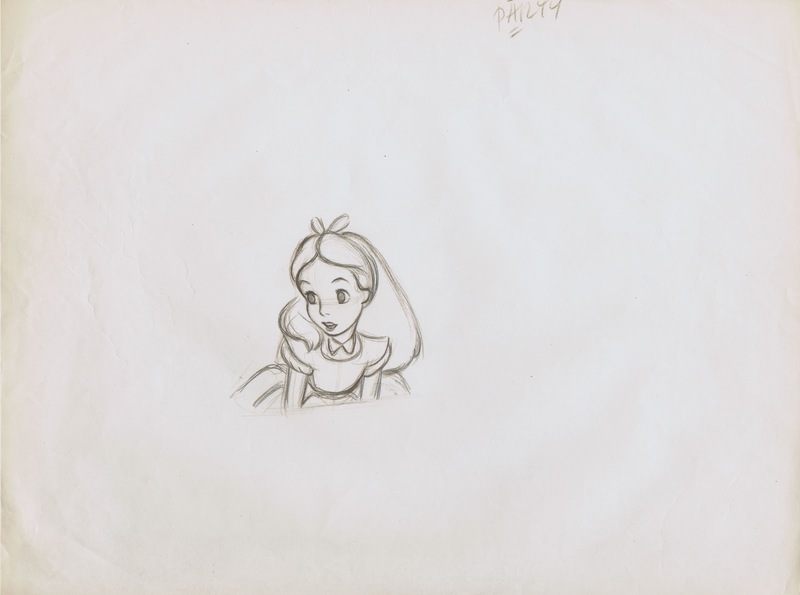 Marc Davis wasn't satisfied with the way it was fabricated. 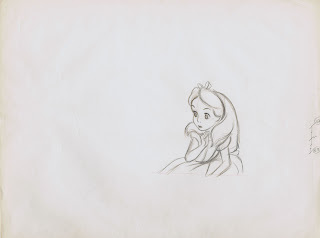 The color was all wrong. 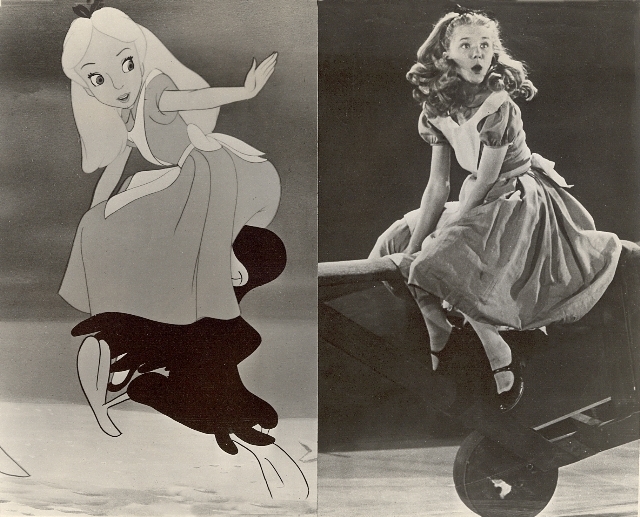 Since the photostats were later printed in black & white, only a certain grey would be beneficial for motion study. 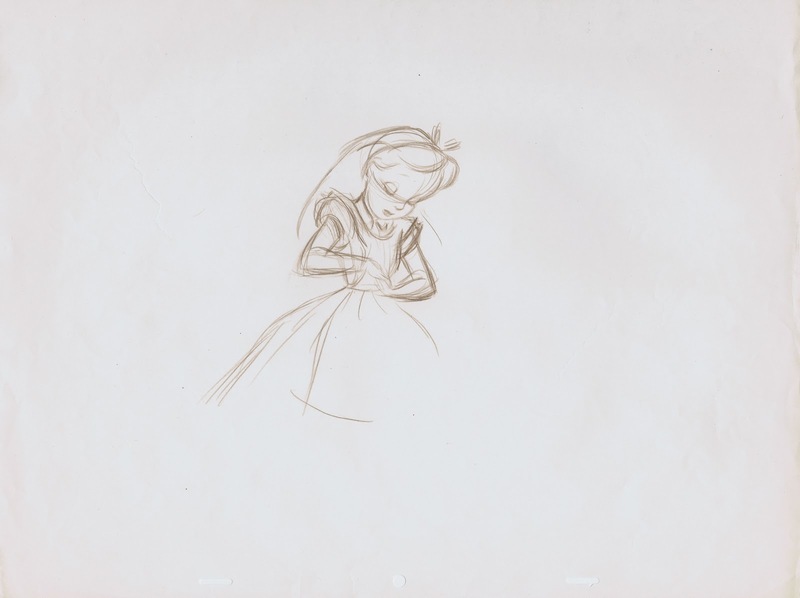 And the material was too light, so the dress had to be re done with a weightier fabric. 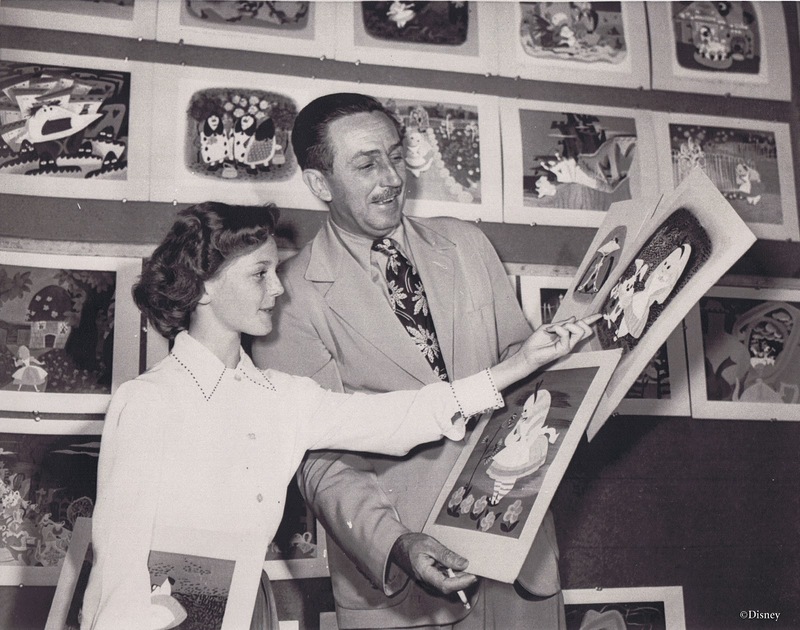 I find all those stories fascinating, and there isn't a lovelier person than Kathy to talk to about those magical Disney years. 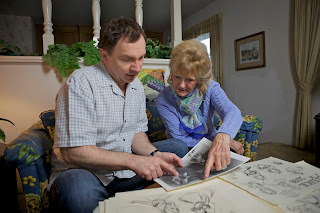 I hope you'll enjoy the photos and the artwork. 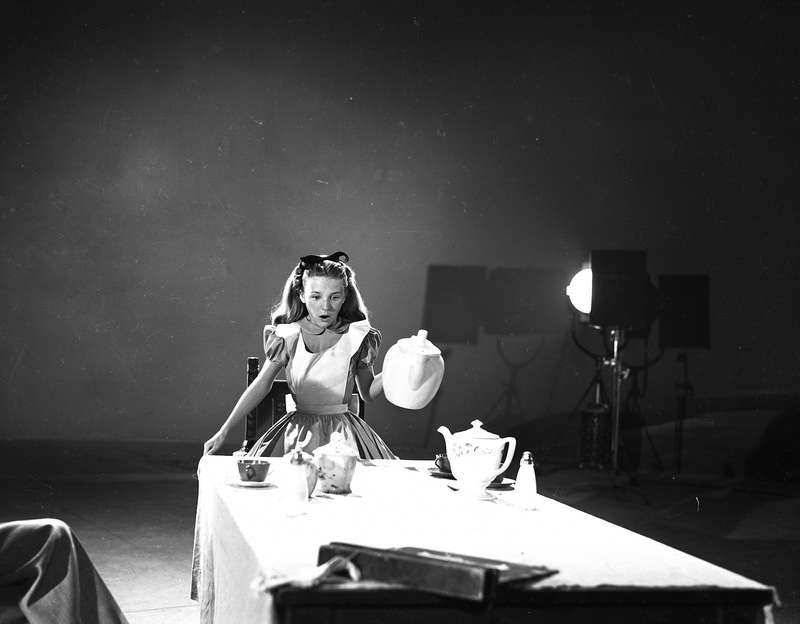 Kathryn's adventures on the soundstage. 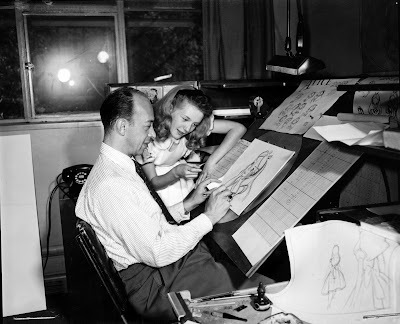 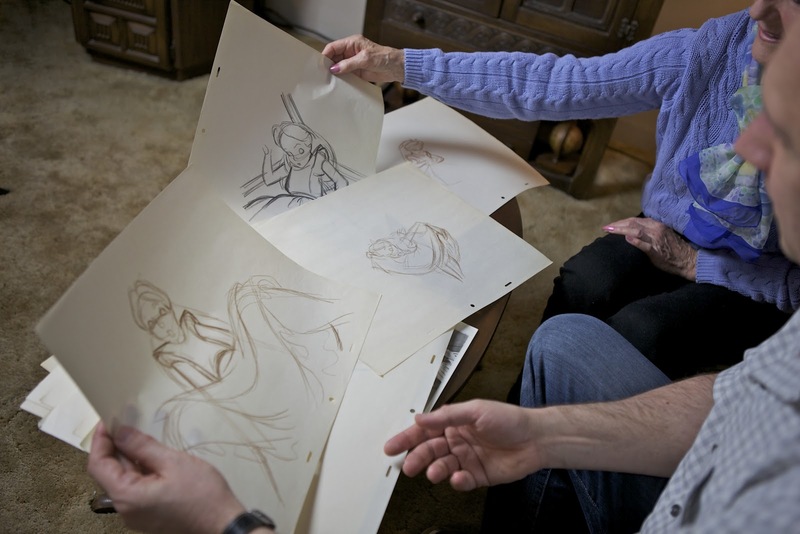 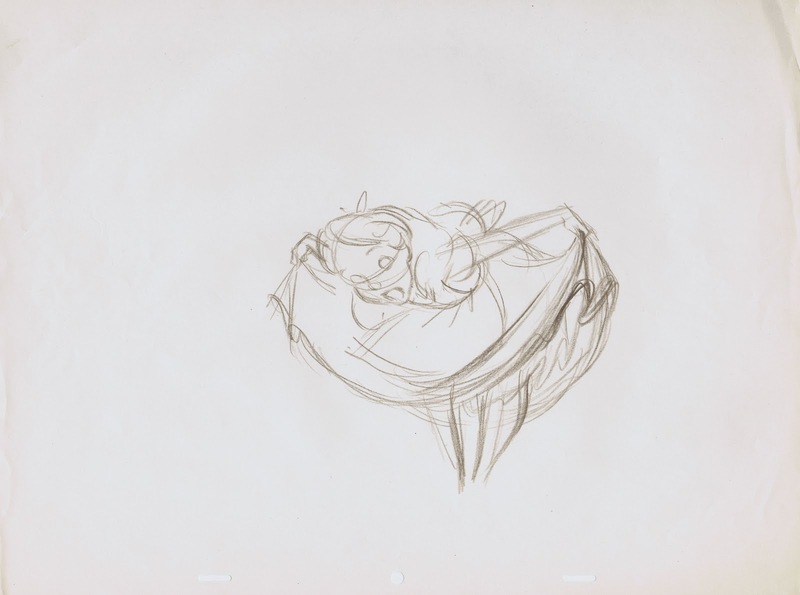 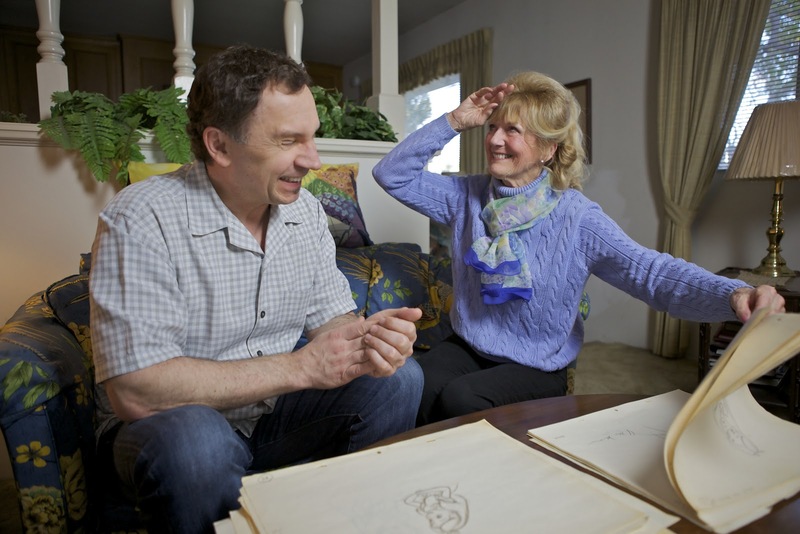 Milt Kahl shows a guest a gorgeous Alice drawing from one of his scenes. 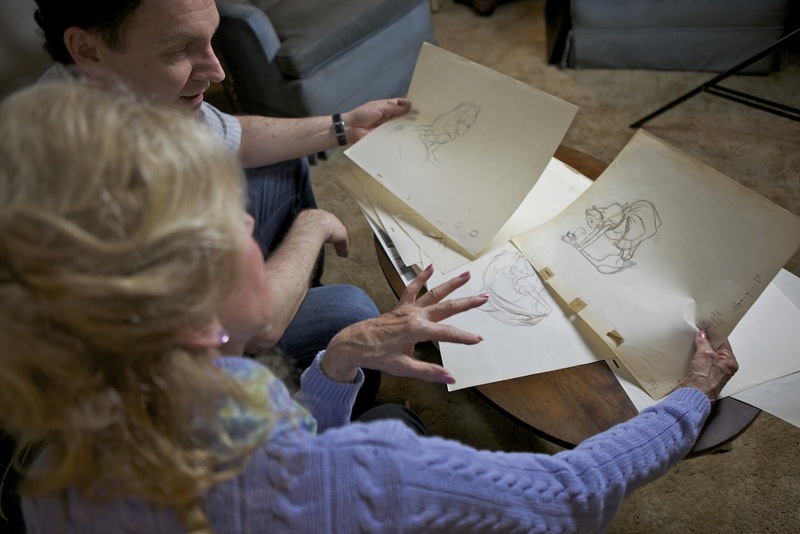 Kathryn is examining Milt's work. 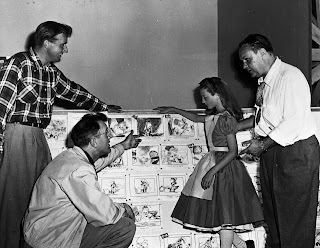 Don DaGradi, Milt, Kathryn and Clyde Geronimi reviewing a story board. 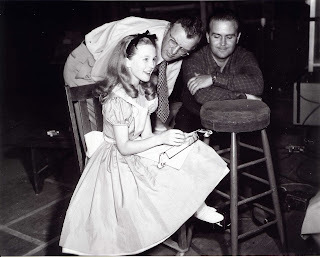 Kathryn with Milt Kahl and Ken Anderson on the set. 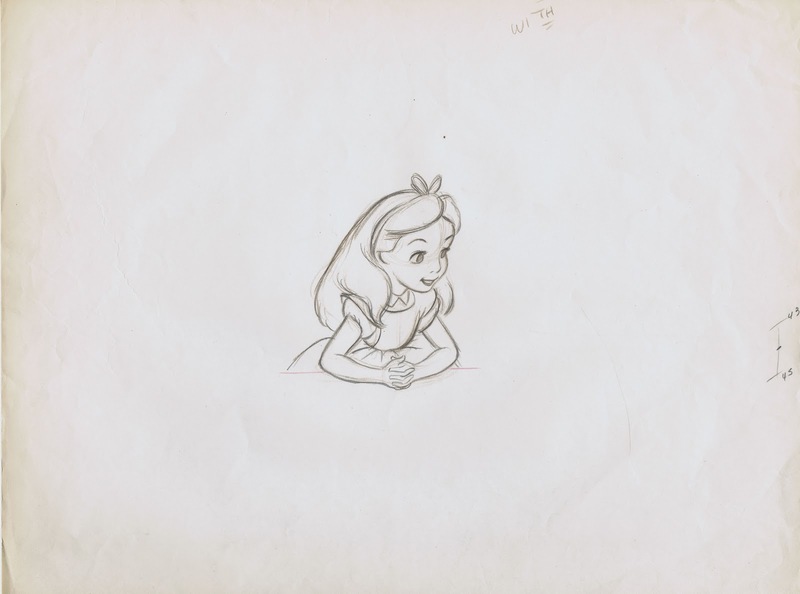 Time to visit Marc Davis and see what he is doing. 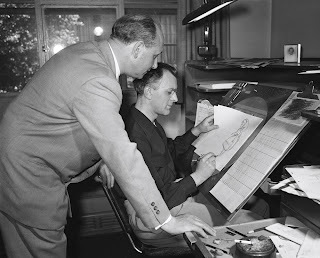 Milt Kahl draws over photo stats. For close ups: Keep the size of the head and shrink the body. For long shots: Keep the size of the body and enlarge the head. 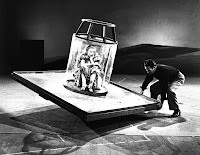 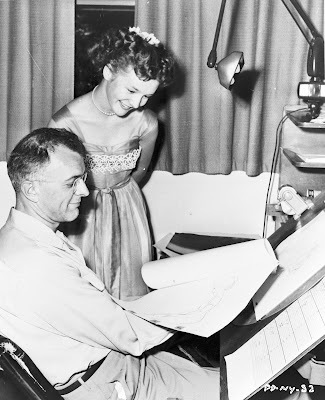 Walt and Kathryn looking at Mary Blair's work for "Alice in Wonderland"